Elina Hotel Apartments are cozy, modern apartments, ideally located for the whole range of exciting activities on your leisure break. 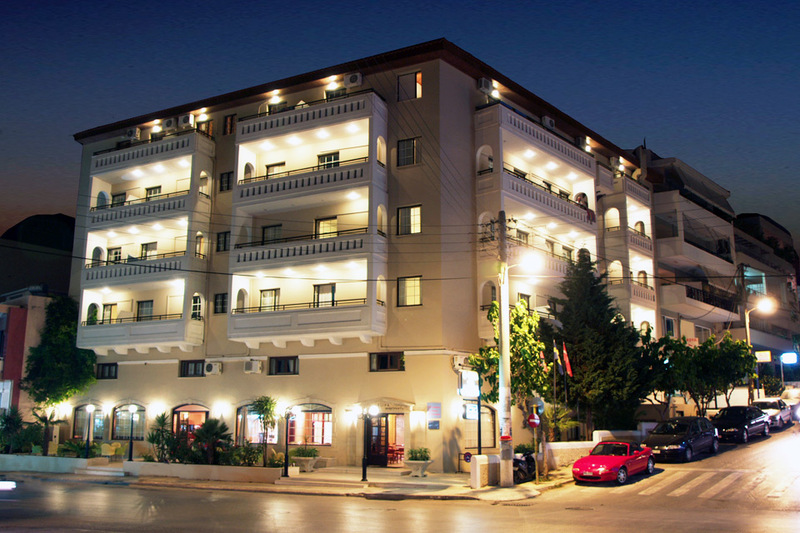 Elina Hotel Apartments is situated in the heart of Rethymno. Whether you want to explore the old historic town of Rethymno with its charming Venetian buildings, the old Fortezza fortress, museums or simply enjoy the clean sandy with its numerous beach sports when Elina Hotel Apartments is just the ideal holidays place for you! Just 100m from the famous beach of Rethymno. 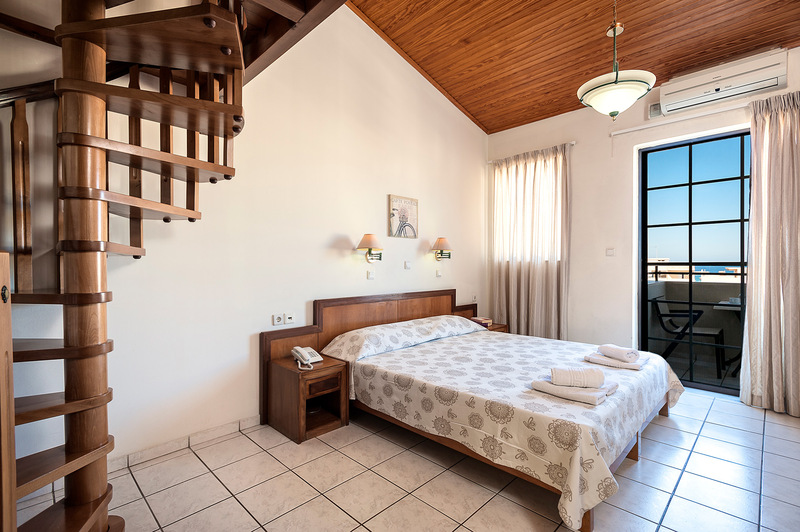 All 4 studios, 7 maisonettes (with split level) and 22 apartments (4 with 2 bedrooms) are furnished in a modern style and offer comfortable and spacious, soundproofed with double glasses rooms to ensure a relaxing stay. All air-conditioned apartments and maisonettes include a fully equipped kitchenette, bathroom, tv , telephone, safety deposit box, hairdryer and free WiFi access. 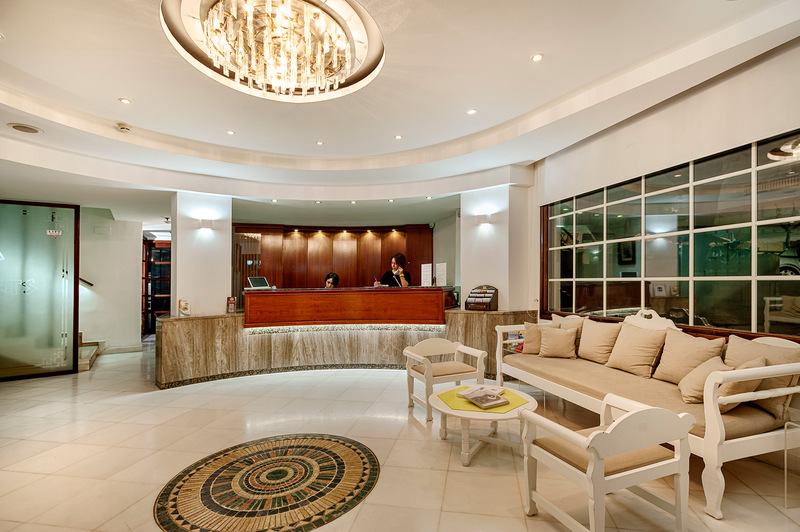 There is also a reception service (24hours) willing to offer you its service and any assistance you may require. 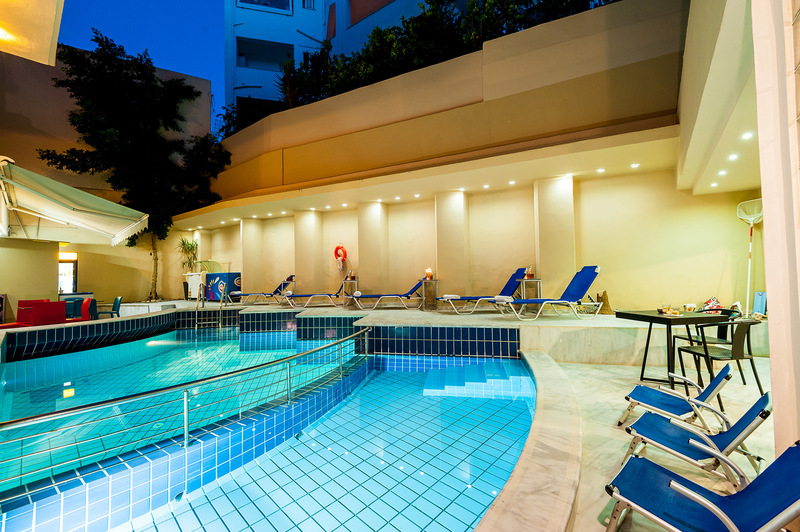 Elina Hotel Apartments also has an outdoor swimming pool for adults and a specially-designed children’s pool. You can enjoy a snack and a cool drink at our snack bar while you are surfing to the Internet. As for dining, you have a large choice of traditional Cretan restaurants and taverns offering you efficient service and fine food. Free parking is possible nearby. So if you are looking for even greater value for money and a comfortable base form which to explore the surrounding areas then come and stay at ELINA HOTEL APARTMENTS.